“Old age is not for the faint hearted” a friend told me. She should know. At 93, distressed by both her appearance and not wanting anyone to see her having to use a walking frame, she now refuses to leave her apartment.But perhaps old age is what you make of it. 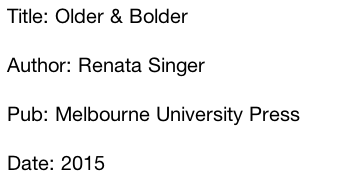 Renata Singer interviewed 28 women aged between 85 and 100 living in Australia and New York and their stories plus research into the way people choose to live in the last three decades of their lives is the subject matter of her new book. 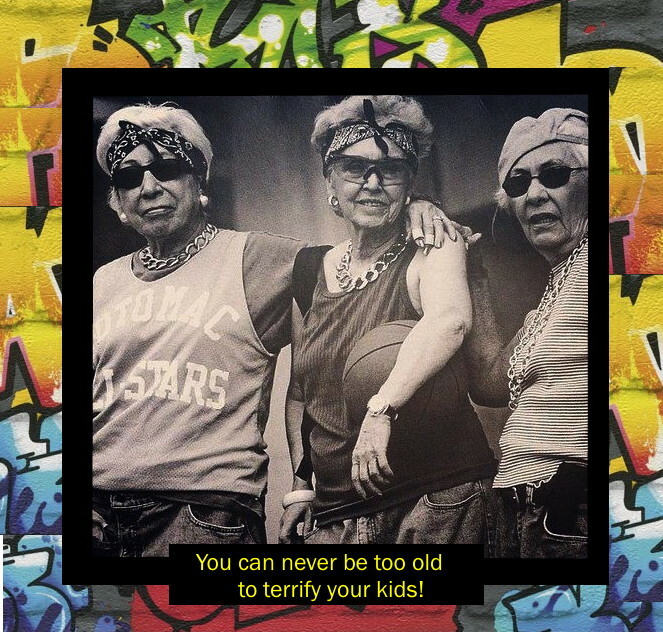 As a baby boomer and therefore heading for 70 I am well and truly in the zone and thinking about all the issues related to growing old. When is a good time to retire? How much money do we need to live comfortably possibly for many years? How do we remain well? Where are we to live, should we stay in our home or downsize or move into purpose built accommodation for the elderly? How will we cope with the loss of our loved ones? All these issues are covered in Renata’s book, informed by research and enlivened by the experiences of the wonderful women that contributed to the project, containing “hot tips” covering each matter, it is a must read for those of us who are thinking about how it will be for us and how we are best to cope. Above all it is an optimistic book, those women who have come before us show us that it is possible to live well and joyfully for all of our lives. 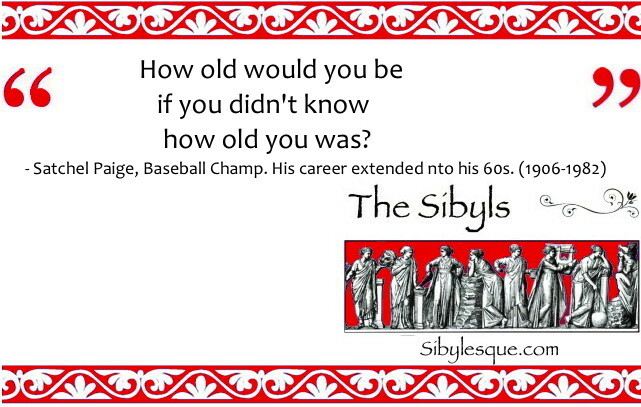 We, THE SIBYLS, declare Renata Singer an Honorary Sibyl for her dogged research, penetrating insight and spirited presentation of older women today. We also commend her for her efforts in establishing Fitted for Work to help unemployed women get back into the workforce. Lorna Ebringer’s passions include trekking in remote areas of Georgia, China and Japan, opera appreciation and rock ‘n roll dancing. 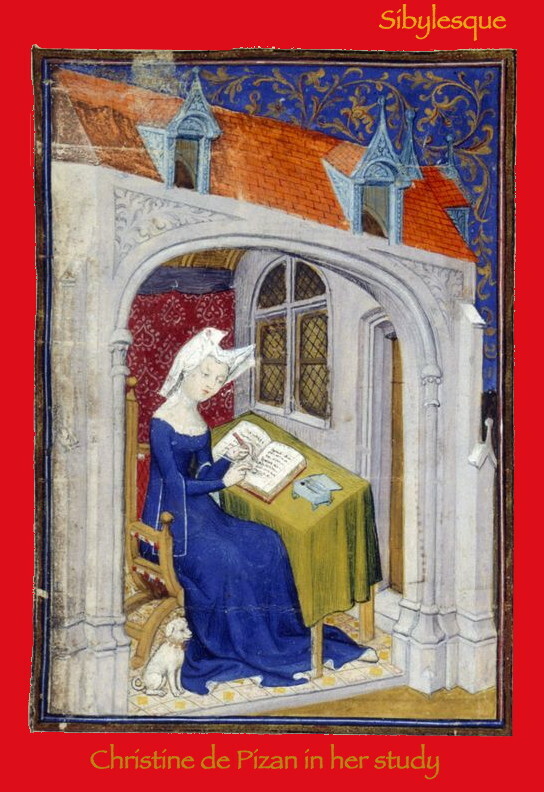 Her previous posts were Notable Women: Christine de Pizan and When god had a wife. The baby boomers are ageing! Expect to hear a lot about this topic as we all struggle to come to terms with this fact. Some of us are so put out by the accumulation of ailments that one friend has limited discussion about our failing bodies to 10 minutes before we are required to move to other topics. 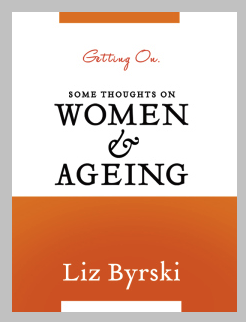 Liz Bryski’s book “Getting on, Some thoughts on Women and Ageing” was first published as an ebook in 2012 and is now available in paperback. 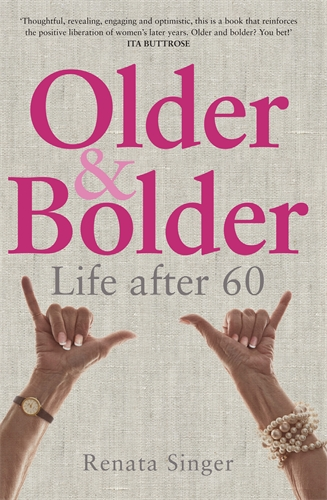 (Pub Momentum Books) Part memoir and part a reflection, she discusses the problems that women face as they grow old. Despite the fact that older women are central to society, working, writing, volunteering, caring for disabled children and for their parents and living busy and productive lives she finds that society renders them invisible, we are not seen in the media, in advertising, in shopping centres. We are ignored. Whole industries have grown up to help women avoid being erased by trying to make us look younger than we are. If we believe the spin we can dye our hair, have a facelift, diet those extra kilo’s away, in short, have a make over. A lot of energy and money can be spent and, of course, it does not halt time. When we are noticed, it is as a problem. The “problem of our ageing population” is mentioned all the time in the media. We are regarded as a financial burden by the wealthiest generation in history. This is truly astonishing given the contribution we have made to society in our working lives over the past 40 or 50 years and the contribution we are still making in providing the volunteer work force in our charities and community support groups, in the care we are giving to our parents and grandchildren and often to our adult disabled children. 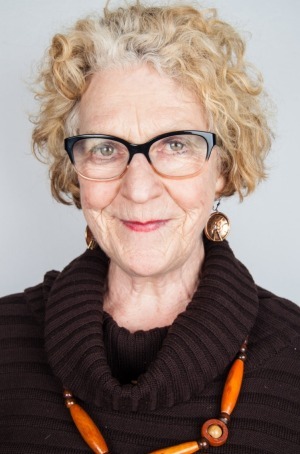 Liz Bryski raises and addresses all the negative issues that old age brings with it but she is undeterred. 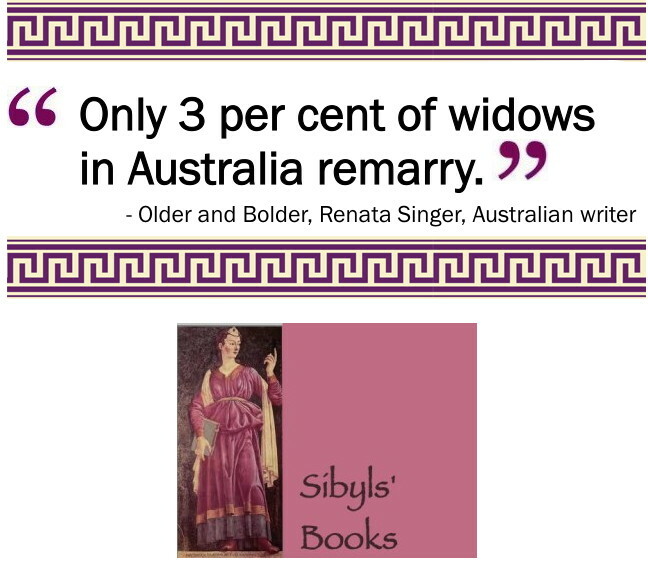 Remembering the feisty older women in her life when she was a child and how much she admired them she is determined to enjoy the journey and reading her book encourages us all to do the same. So what are the positives? Now that we are free from full time work and caring for young children we have time to “make the most of every moment and every day, love more and better, learn more and read more” We can enjoy our friendships more and allow them to enhance our lives. 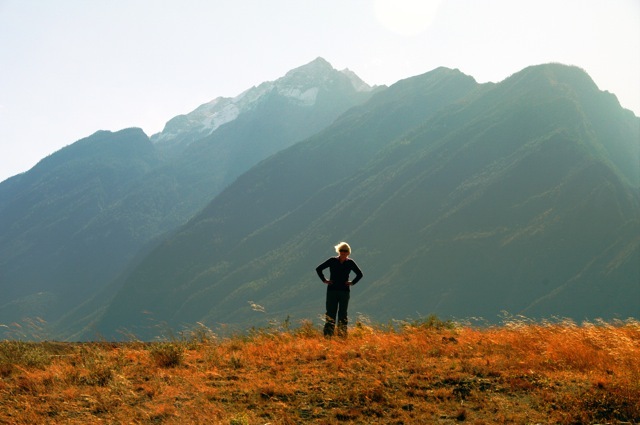 As a result our lives become packed with interest and adventure. We are healthier than ever thanks to good medical care and the consciousness that we have to address fitness issues to live well, she swims, we dance, our friends walk, ride bikes, go to the gym and Tai Chi, we meet other people doing these things and we are luckier than our parents in this respect. I hope that we will see further thoughtful discussions like this that allow us to look forward with optimism and courage. 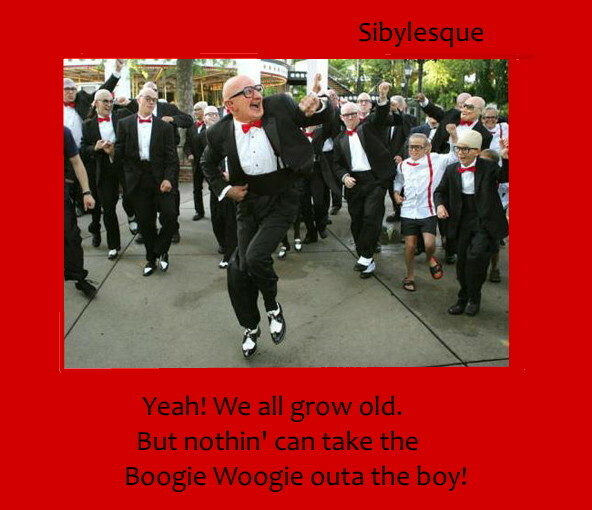 You will find Liz Byrski’s article Why it is good to be old here. Photo Source: Liz Bruyski’s website, Youcanbefunny blog…………………………………. 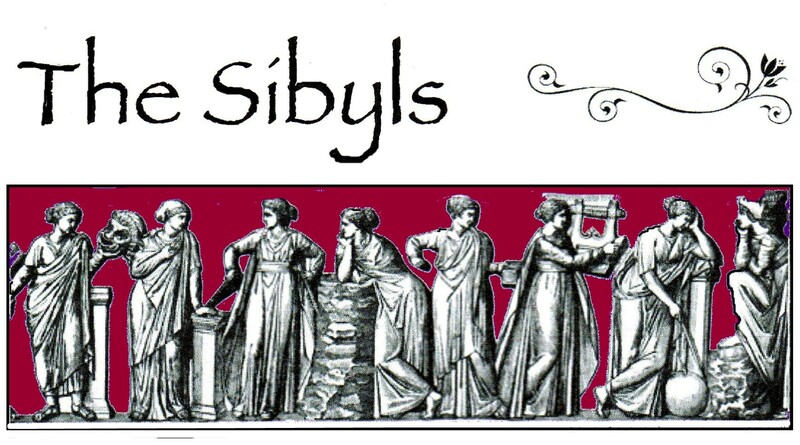 A lot has been written about the life and work of Christine de Pizan, late medieval scholar and writer but I had never heard of her until Sibyl in chief Kerry asked me to write about her for Sibylesque. Here is a potted history for those of you who would like to become acquainted with this extraordinary woman. 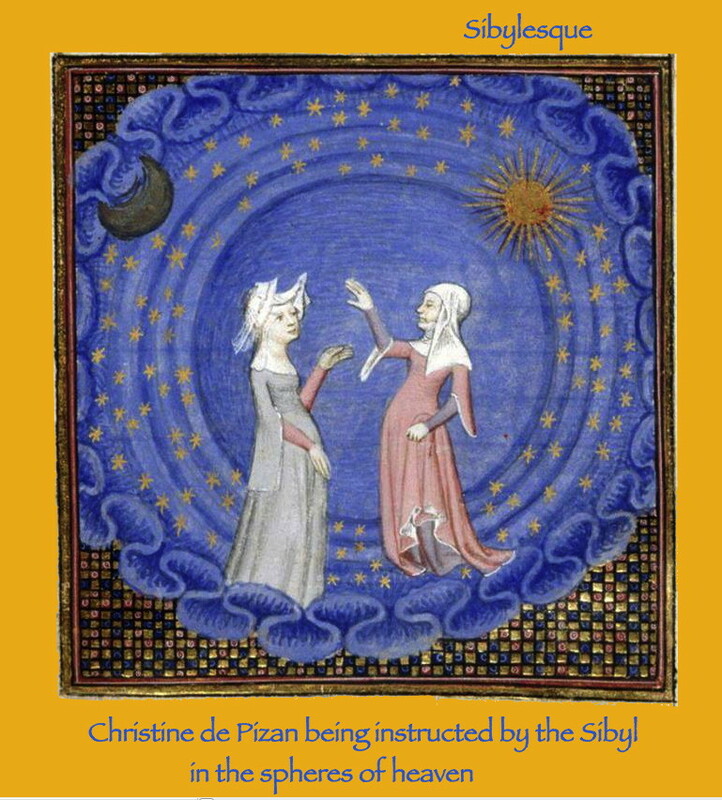 According to the British Library Christine de Pizan was born in Venice in 1365, the daughter of Tommaso de Benvenuto da Pizzano who was a physician and a court astrologer. After her birth the family moved to France where Tommaso accepted an appointment as court astrologer to Charles V. It was here at the court that Christine received an extensive and wide ranging education supervised by her father, an education that was normally reserved for men of the wealthy class in that time. 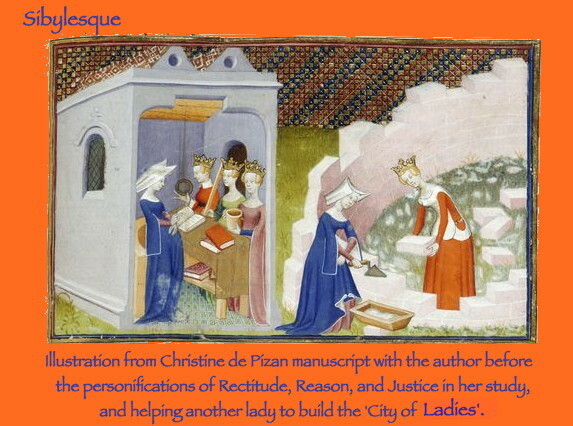 City of Women by Christine de Pizan. 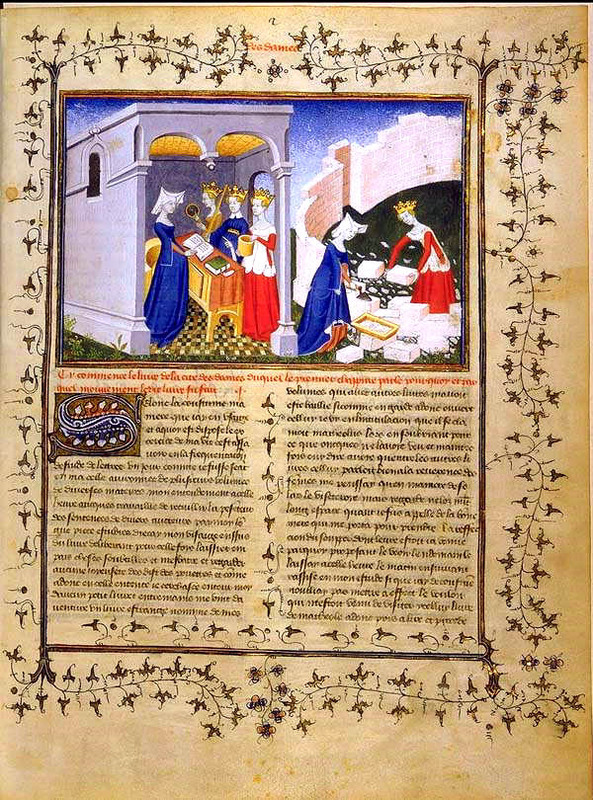 She supervised the production of the illustrated manuscript. heart, in greatest joy, without grief. As her father had also died four years earlier Christine had to find a way to support herself, her children and her mother. 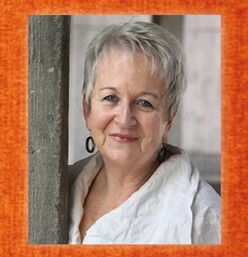 She turned to writing and in the following 30 years published both prose works and poetry enjoying great success serving as court writer for several dukes and the French royal court of Charles VI. 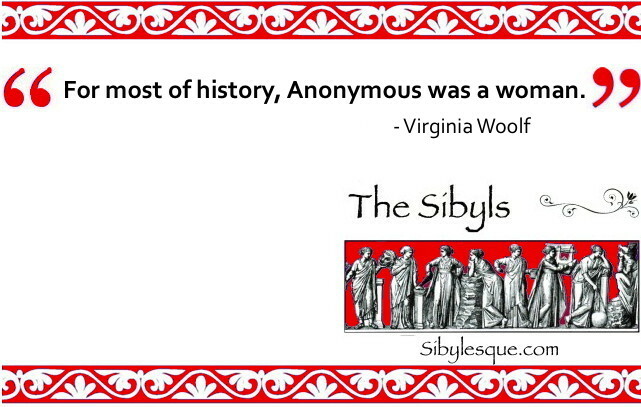 It is claimed that she was the first woman in western literature known to have made a living as a writer. Initially she wrote love ballads for wealthy patrons often on commission. These proved very popular and she wrote 300 in all. 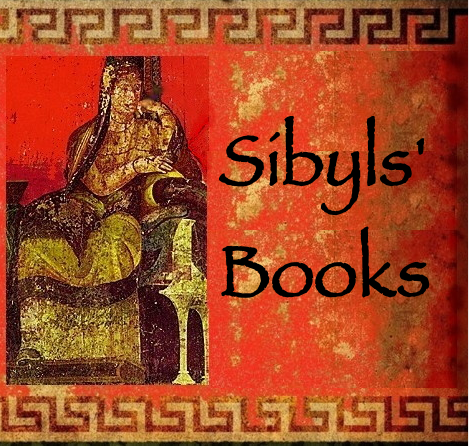 Her prose works include The City of Women, the Faytte of Armies or The Deeds of War and Chivalry, The Book of Peace and the book of the Changes of Fortune. At the age of 55 Christine retired to a convent at Poissy. Lorna Ebringer’s passions include trekking in remote areas of Georgia, China and Japan, opera appreciation and rock ‘n roll dancing. Her previous post was When god had a wife. Photo Source: British LIbrary Manuscripts online.………………………………………………..
Where have all the goddesses gone, long time passing? Where have all the goddesses gone, long time ago? In the ancient world before there was one god there were many. Each one had a limited domain of power and different responsibilities. 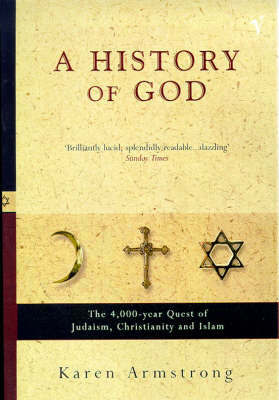 Karen Armstrong in her book “A History of God” pub.1993 tells us that they were often gods of place and as you moved from one location to another you would encounter a new set of gods and a different form of worship. These gods were both male and female and were served by both priests and priestesses. Because there were many gods the pagan religions were tolerant, there was always room for one more deity. The founder of the idea of one god was Abraham, born in Ur in Mesopotamia in around 2000BCE though no one is quite sure of the date. Legend has it that for some reason Abraham and his family decided to migrate west. For many years they lived in Haran and then at the age of 75 he heard the voice of God for the first time. God instructed him to go to the land of Canaan. On arrival Abraham encountered the gods of Canaan. In charge of the pantheon was El. He, together with a council of deities, kept order in the cosmos and in the human realm. El had a wife named Ashereh, goddess of fertility and symbolised by the tree of life. Their son Baal was the god of storm, their daughter Anat was the goddess of the harvest and in addition there were gods of the dawn, dusk, plague and death amongst others. The people of Israel were slow to adopt the idea of one god. The women in particular did not like the idea of losing their female fertility goddesses and there is evidence that for hundreds of years they refused to do this. 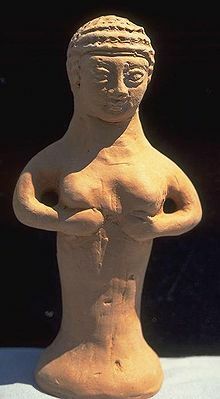 Dr. Francesca Stavrakopoulou, biblical scholar, suggests that archeological finds at Ugarit in Syria and in the Sinai and in the bible itself show that worship of Asherah as the wife of God persisted for at least a thousand years until the Babylonian conquest of Israel. The loss of the temple in Jerusalem in the 6th century BCE led the scribes of the bible to abandon the pantheon of gods and turn to the one God for protection. Dr. Stavrakopoulou suggests that the loss of Ashereh has led to religion becoming more masculine. If God is male then to be a man is to be like him. Lorna Ebringer’s passions include trekking in remote areas of Georgia, China and Japan, opera appreciation and rock ‘n roll dancing.